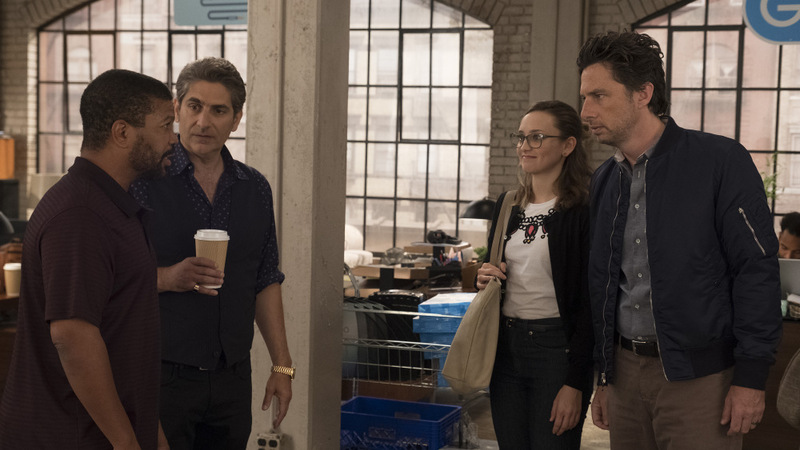 This was a big week for ABC, with the return of Roseanne (which surprised many as it turned out to be massive) and premieres of new comedies Splitting Up Together and Alex Inc, to mixed results. The gigantic Roseanne return prompted a special edition of ABC renew/cancel on Wednesday, and a renewal announcement two days later. One more premiere is coming up, as new drama The Crossing premieres on Monday. Alex Inc: The new addition to ABC's Wednesday comedy line-up got off to a decent start. Its 1.1 between two 1.4s wasn't incredibly impressive, but it wasn't bad, and is similar to the kind of ratings that Speechless, the show Alex replaced, has been getting. So why is Alex Inc. likely to be canceled while Speehless is likely to be renewed? For two reasons. The biggest reason is that it will likely fall from here, as most new shows do after their premiere. In addition to that, it is also in a better position than Speehless because Speechless has 41 episodes under its belt, while Alex Inc. will have one short (eight episode?) season when it's time for decisions to be announced in May. ABC comedy is still a competitive category, so the numbers that Alex is likely looking at in the future, while not that bad, will likely set it only ahead of The Mayor in strength, which will most likely not be enough for a second season. Splitting Up Together: With a 2.1 out of a 2.6, Splitting Up Together starts out its first season looking good for a renewal. Why isn't it certain with such a good rating? 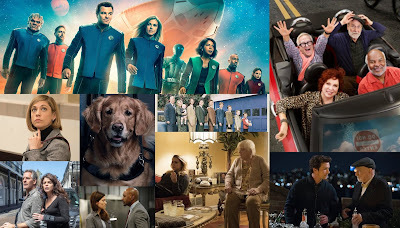 This is only its first week, shows can fall hard from here, and with an hour-long Roseanne, which will be half an hour going forward, leading off the night, the support that Splitting Up Together will get in future weeks will be much less, and with how other revivals such as Will & Grace have trended post-premiere, the halo affect may not make it to 9:30 at some point later in the season. Still, Splitting Up Together is off to a strong start, so it is likely to return. Speechless: With Roseanne being a huge success and new comedy Splitting Up Together looking likely to be renewed, things are less sure for Speechless. Will ABC be willing to renew eight comedies? Maybe. With that being uncertain, and without the certainty that Splitting Up Together will hold up after its strong premiere, I still think that Speehless is more likely to be renewed than to be canceled, but if Splitting Up Together holds up, Speechless will be more of a toss-up. Station 19: Last week I said that Station 19 may exhibit greater stability than most new shows in following weeks because the premiere faced a two-hour Chicago Fire, and had steady half-hours. This turned out to be the case, as the show got a 1.2 this week, up from its two-hour average last week. This makes its renewal chances look even better, so if you had doubt last week, that was likely erased with this week's rating.